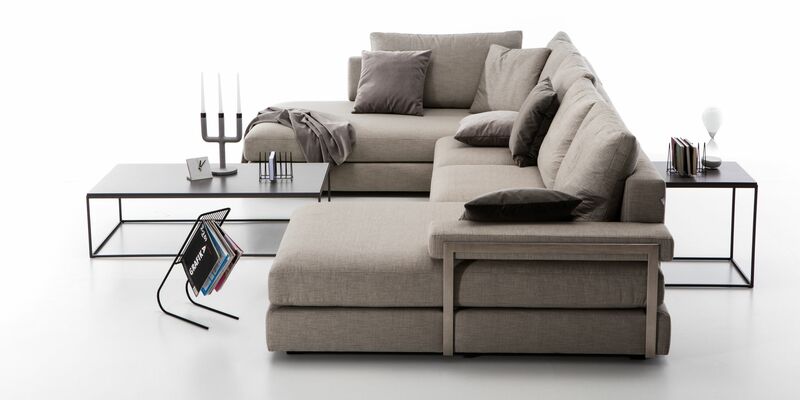 With its modern blocky construction the sofa Caprice will fit perfectly in your living room. 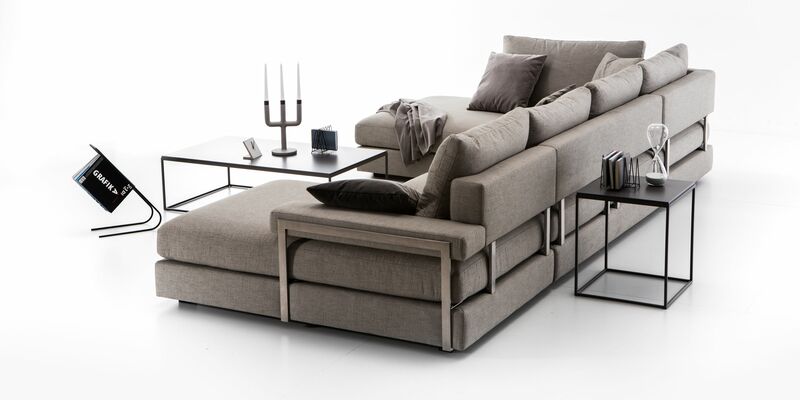 The cubic shape of its individual modules allows the sofa to fit into any space and will create a cozy nook even in the largest of open areas. 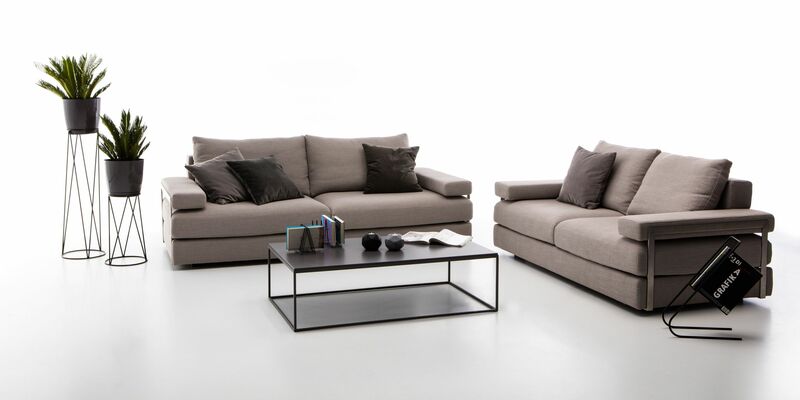 The combination of brushed steel metal elements with the hexagonal shapes of the sofa give the piece added elegance. 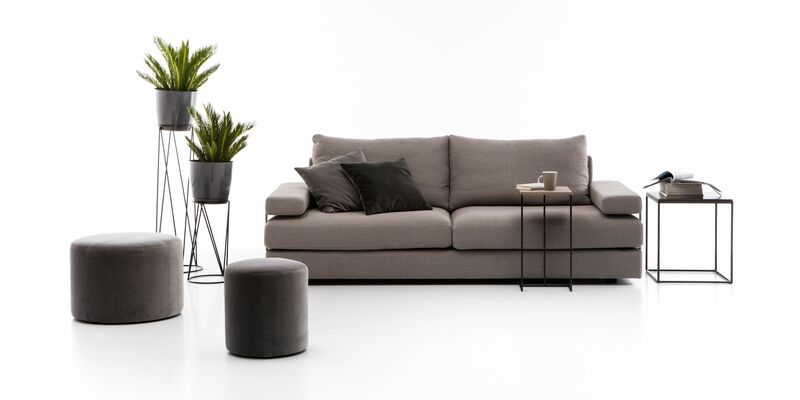 Materials used in the creation of sofa Caprice as well as the filling for its cushions have been selected to make sure that every minute spent on it will be restful and quiet. 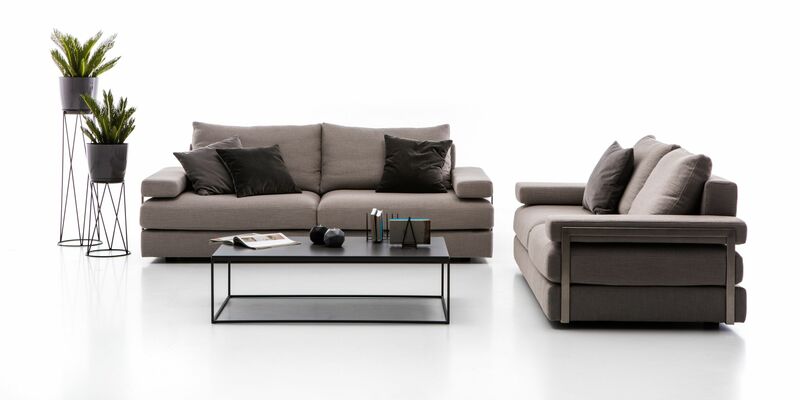 The piece's modular construction will, without any problems, allow you to adapt it to your living room where you will be able to make full use of its versatility. 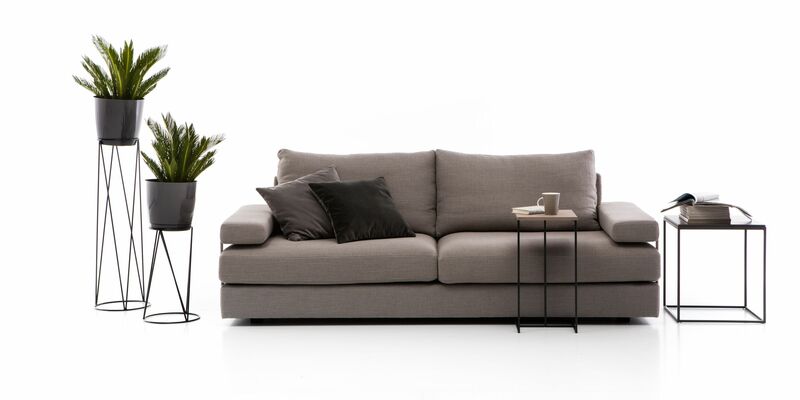 The sofa's unique construction and highest quality filling will make your rest complete and restore your inner peace and harmony. The cushions of sofa Caprice have been filled with fluffy goose down and very elastic memory foam. These materials, combined with wide armrests and comfortable seats, will make your homecoming and relaxation after work the highlight of your day. Supporting parts of back and arms made of pine wood , plywood and chipboard. 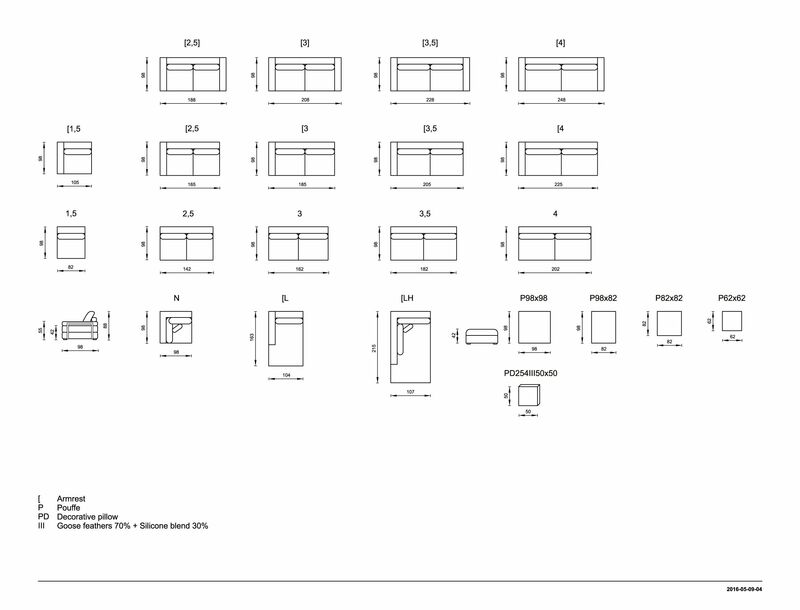 Visible parts of the frame are covered with polyurethane foam 25kg/m3 and ovate. Support of armrest and back - stainless brushed steel. Two layers of highly flexible polyurethane foam covered with ovate.